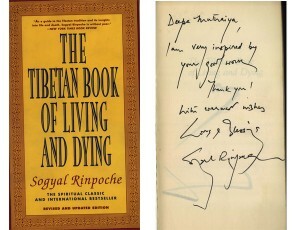 When Deepa Muthaiya was given The Tibetan Book of Living and Dying by a friend in India in 1994, she was struck by its philosophy of compassion, love and care for the dying. It brought home to her, she said, the extent to which we are neither prepared for, nor taught anything positive about, something which for all of us will be a certainty. She saw too how so many people need help with dying, and she yearned to do something about it. 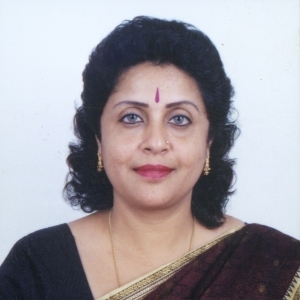 With two friends, in March 1998, she founded the Dean Foundation, in Chennai (formerly Madras), India, its name Dean standing for their aim: to Dignify and Empower the Ailing and Needy. —to provide a database on allied health services in the city through networking and referrals. 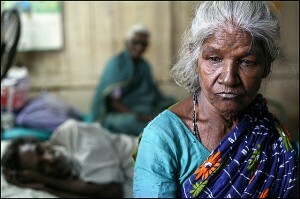 The foundation is playing a major role in promoting the concepts of hospice and palliative care in India. To date they have cared for well over 1000 patients, many of whom are elderly and suffering from terminal illness such as cancer. Operating on donations only, the foundation has a current staff of around 30 volunteers who work together with a handful of doctors who offer their free consultation. That same year, the DEAN foundation became the first Indian Organization to be awarded the Children’s Hospice International’s Elisabeth Kubler Ross award for outstanding contribution. Currently the foundation is looking to expand its services to more than 125 villages in the region outside of Chennai and continue their mission of providing free care and support to those in need.